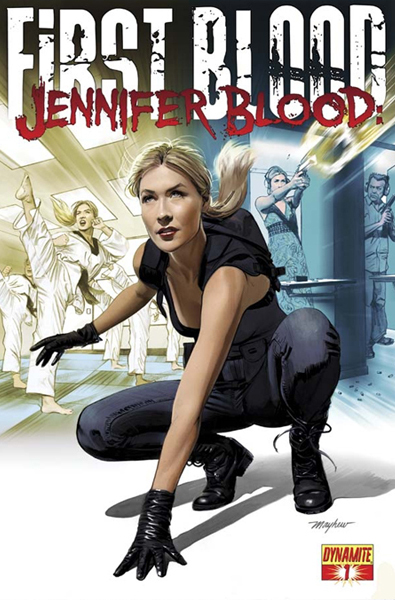 Beautiful Blonde ZARZAR MODELS Laurie Mannette Modeling For The Cover Of Jennifer Blood First Blood Comic Books By Dynamite Comics. ZARZAR MODELING AGENCY Model. Previous PostPrevious Beautiful Blonde Model Laurie Mannette Is The Face Of Jennifer Blood Comic Books By Dynamite Comics And Her Face And Body Is Now Immortalized And Sketched To Be Several Comic Book Covers For The Popular Dynamite Comic Books!